The Union’s most significant decisions are made by Union members at General Membership Meetings (GMMs). 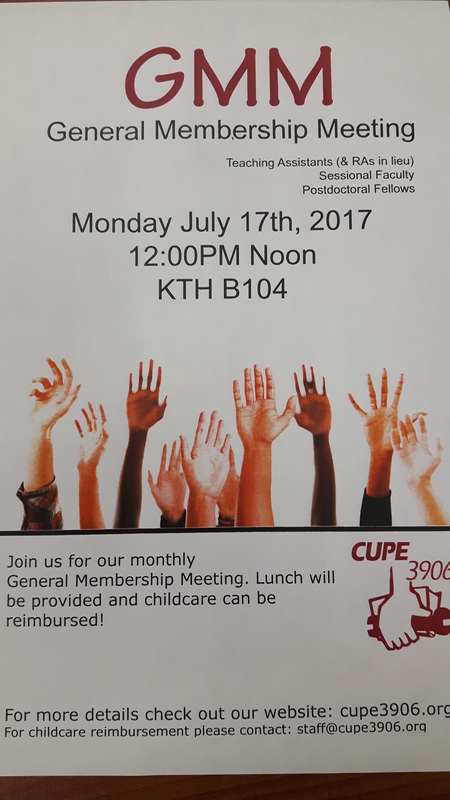 All CUPE 3906 members of all 3 units (TAs and RAs in lieu, Sessional Faculty, Hourly Rated Sessional Music Faculty and Postdoctoral Fellows) can attend regular GMMs and get involved in the Union’s decision making processes. 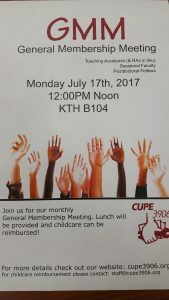 Agenda items will include: election of delegates to CUPE National Convention and OFL Convention, updates on Unit 2 Bargaining, notice of motion for union dues adjustment for Unit 3.